Here at Euro Pace our mission is to guide and help online students to deal with the pressures of learning from anywhere in the world. We cover a wide range of topics from time management skills and dealing with exam stress to effective revision techniques. Any test-taker knows the anxiety that can come with being unprepared. Therefore, it’s important to study strategically to achieve your best. You might wonder if you are making the most of your study time, and if there are ways that you can improve your efficiency. With the following tips and tricks, you will have more time to think about your job search after the exam. This advice is sure to help you stay focused and prepare and pass your exam with flying colors. Since everyone has a smartphone in their pocket, apps are a great way to study on the go. These apps are perfect to use when you are commuting, or just when you find yourself with some extra time throughout the day. Studyblue: This app allows you to create your own study aids and share them. There is a no-charge version of the app for iPhone and Android, which allows users to create their own materials and that doesn’t charge for wifi. Quizlet: This is a great one to work on your memorization. Quizlet also allows shareable material, and something called “study sets”. Images can also be added to help solidify concepts; you can take what you’ve created on the go with you. Cram: Cram offers a more tangible and nostalgic way to study. While also having desktop and mobile versions, Cram allows old souls to print out flashcards too. Exam prep aids can help you derive the nuts and bolts of what you will need for your exam. The Real Estate Exam Prep Master is a great option that can be bought by itself or together with a pre-licensing course. What’s more, you will get the money back from your purchase if you don’t pass the exam. Coach format: Questions are presented to you one at a time and answers are provided right after, with explanations. Power format: This format is like a real exam environment. Answers are not displayed until the end of the “test” and no tips are provided throughout. Pace format: This style’s pace gets faster as the exam continues. This is great practice for those who are trying to increase their test-taking speed. There are many programs that can help you focus by blocking out the ongoing distractions of the internet. You can also block specific websites that you check too often. For example, tools like Cold Turkey and Focus Me will ensure the websites of your choice are blocked for the amount of time that you select. There is also an option to schedule time blocks on a weekly basis. The brain loves order, so a great way to get down to studying is to time yourself. This can force you to intensely focus for short spurts of time. The Pomodoro Method is a well-known technique used for time management. It goes like this: you work for 25 minutes and then take a 5-minute break. This cycle is called a Pomodoro. After you have repeated this cycle 4 times, you are rewarded with a 15-minute break. You can set a timer yourself or use an online tool. Setting small waypoints is a great way to conquer large tasks. These can be material or psychological-based goals; for example, you can state a certain amount of material that you hope to get through or you can dictate how focused or calm you would like to be throughout your study session. Take some time when you are finished your session to consider the progress you made on your goals. Did you achieve what you wanted? Where can you improve? Monitoring progress is the most sure-fire way to know that you are improving. Preparing well for any exam is important, and preparing effectively for your real estate licensing exam will help guarantee you pass on your first attempt. The above tools should give you a head start at hitting the books, ensuring that you don’t wear yourself out in the process. For these tips and tricks, we interviewed Dr. Travis Laas who is a realtor that specializes in selling horse farms in Wellington FL. We hope you found these points useful, feel free to add of your own recommendations in the comments section. We all know that we should drink more water, but a 2012 study from two London universities shows that staying well-hydrated can actually improve exam scores by up to 10%. The study looked at 447 psychology students attending the University of East London. Among those students, 71 of them were in their foundation year, 225 were first-year students and 151 were second-year students. Only 25% of students entered the exam hall with a bottle of water. The students in their second year of study were more likely to bring water with them (31% vs 21% for foundation and first-years). The researchers found that foundation students who stayed hydrated could see grades improve by up to 10%. First-year students could see an improvement of up to 5% and second-years up to 2%. Water-drinking students could expect to see an average of 4.8% improvement in their grades. Need more proof that staying hydrated improves your exam performance? A study from 2010 helps prove the opposite side of the spectrum. The small study found that dehydration decreased exam performance. During the study, 10 students with the average age of 17 completed an intense cycle ride to simulate dehydration before taking an exam. Participants were mildly dehydrated when going in for the exam, and took the Tower of London test. Those who were dehydrated had to exert more effort to achieve the same results as those who were well hydrated. An article, originally published in Nutrients in 2011, took a look at four small studies that demonstrated the importance of staying hydrated. The studies found that children between the ages of 7 and 9 had longer attention spans and better memory function when they were properly hydrated. Other studies have shown that dehydration can affect cognitive function, increase anxiety, and lead to fatigue or depression. In fact, there is evidence that sipping water during an exam can ease anxiety. Along with helping improve cognitive function, drinking water can break the chain of negative thoughts and help ease anxiety. In adults, research has shown that restricting fluids – to the point of losing 1% of body weight – can decrease alertness and concentration. Research and studies have helped prove the beneficial effects of staying hydrated when taking exams. But drinking water in general is important for the human body. After all, we are made up of 75% water. There’s no greater reason to start drinking more water each day. About the Author: After spending a number of years in the plumbing industry, Mark Fear decided to create Softer H2O in an attempt to help improve drinking water quality across America. If you wish to find out more about water quality then check out SofterH2O.com. Time management is one of the most important life skills students can learn. 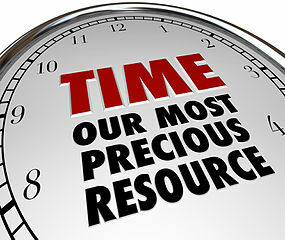 Using your time appropriately will help ensure that you spend enough time on study and other important life tasks. Good time management skills will also benefit you outside of the classroom and in the job world. To help you make the most of your time, here are the three top time management techniques students should master. It sounds simple enough, but planning and prioritizing are two things students rarely do. First of all, get familiar with the module and the assignments. Know when assignments are due, and which ones are of the most importance. Next, prioritize your assignments. You may want to use a calendar to schedule in and complete tasks according to urgency. Also consider tackling tasks that require more concentration early on or when your mind is at its sharpest. While it’s important to have a plan and to prioritize, make sure that you’re also flexible with your schedule. If you’re finding that your plan is not working, make adjustments until you find a schedule that works for you. Effective time management also requires you to set goals. 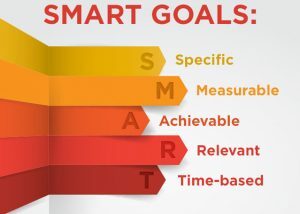 In this case, you want to set long-term study goals and break these down into short-term goals that you can work on and add to your schedule as you move along. Consider the best ways to use your study time and which tasks are most important to complete this week. The idea is to break your long-term goals and assignments into chunks that you can schedule into your week. Breaking larger assignments and tasks into smaller, more manageable ones can help you get the entire project complete well before the cut-off date – or ensure you’re fully prepared for your next big exam. Distractions are inevitable. You can schedule and plan every second of your day if you wish, but life will surprise you and unexpected events will get in the way. Small distractions will try to steer you off course as well. Create a plan to help you manage these distractions. Make a set of rules, such as turning off your mobile or asking friends to give you some time alone. Avoid taking on too many things – it’s perfectly fine to say “no” sometimes. Also, make sure that you set realistic goals for your study time to minimize distractions. It’s difficult to commit to studying for two or three hours at a time – distractions are sure to get in the way – but it’s not impractical to study for 40 minutes at a time before moving onto a new task. Presentations are tedious – every small detail matters. The art of giving presentations may be different, depending on the class. 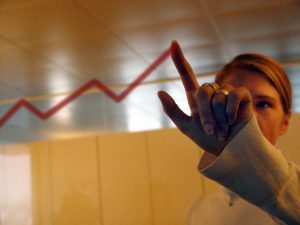 A person studying business may be able to offer a PowerPoint presentation to show the world’s market fluctuations over the last 30 years, while a person studying Spanish may need to talk in front of the class for an hour – or on Skype. Approaching every presentation is the same, although the amount of detail needed will vary from course to course and assignment to assignment. When trying to master your presentation skills, there is a lot that you can do to perfect every presentation and get over the jitters you may have. Your audience will dictate how you write your presentation script, and it will play a role in how you formulate your entire presentation. If you don’t like writing, think of a script as a way to elaborate your sentences when talking to a friend. When you write, it’s essential to leave your emotions out of it, and write with confidence – no one is watching you just yet. You may not be able to confidently speak in front of a large group of people, but if you make these small tweaks during the preparation phase, you’ll be able to gain confidence before giving your presentation. People laugh when they hear about people talking to themselves in the mirror, practicing what they’ll say in a presentation. But these are the people that have the best presentation skills. And continue to practice your speech – recording it and listening to it multiple times. Listen to the speech and make changes as necessary until you’re happy with the way you gave the presentation to yourself before going to give your presentation to others. Practice makes perfect. Exercise contributes to physical and mental well-being, but it may also be linked to better concentration and improved learning. Staying active can help improve your focus on everyday tasks or even treat the symptoms of an attention deficit disorder. A 2007 report from Dr. Stewart Trost of Oregon State University found that even short breaks of physical activity can improve concentration, behavior and memory in elementary school students. The report found that children who exercised had more improved concentration and academic performance compared to those who had an additional lesson. In the report Why We Should Not Cut P.E., Dr. Trost also points to three other studies that show physical education in school actually helps improve academic performance. A Canadian study found that students in grades 2-6 who received an additional hour of physical education each day earned better grades in mathematics, French, science and English compared to students who received one period of P.E. per week. A study from the CDC followed 5,316 students from kindergarten to 5th grade. Girls who received 70 minutes or more of physical education per week had significantly higher scores in reading and math than girls who received just 35 minutes or fewer per week. Physical activity appeared to have no significant effect on the academic performance of boys. Another 2007 study found that students who received 56 hours or more of physical education each year scored higher on standardized tests for language arts and English in Massachusetts than comparable students who received 28 hours of P.E. per year. USA Today’s Nanci Hellmich agrees with Trost’s findings. In her 2010 article, Hellmich says there are no negative associations between physical activity and concentration. After reviewing the research, Hellmich reports that increasing time in physical education classes improves concentration, attention and scores on standardized tests. In 2007, Newsweek’s Mary Carmichael reported findings that support Trost’s theory: children who performed well on fitness tests were also more likely to score high on concentration and academic tests. These effects extend to adults. Three months of regular aerobic exercise has been linked to the formation of new neurons and denser, more diverse connections between those neurons. Along with better concentration and overall improved brain functioning, Carmichael reports that physical exercise has also been linked to a lower risk of neurological and cognitive disorders, including ADHD and Alzheimer’s. The 2008 book Brain Exercises to Cure ADHD, written by Dr. Amnon Gimpel of Israel’s Brain Power Clinic, explains how physical activity can help treat or even prevent the symptoms of ADHD in children and adults. According to Gimpel, activities that combine physical and mental focus, such as yoga, dancing and martial arts, may be more effective at improving ADHD symptoms. At EuroPace we recommend that if you are finding it difficult to concentrate throughout the day then you should try to incorporate 30 minutes of exercise into your day. Whether you go for a brisk walk outside or go to the gym it will all help to concentrate the mind. If you are struggling for exercise ideas or motivation, Home Gym Sumo has a number great ideas that might interest you. You may even feel less stressed after you have finished exercising thanks to the endorphines that will be released. Exams are stressful. You’re under pressure to do your best, you have a thousand and one things on your to-do list, and you’re running out of time to prepare. From revising to the actual taking of the exam, the entire process can take a toll on your mental and physical health if you don’t take steps to manage the stress. 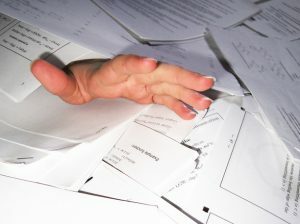 Here are five easy ways to manage the stress of assignments and exams. Staying active is one of the best ways to reduce stress. Each time you exercise, your body produces endorphins – those feel-good hormones. Walking just 30 minutes a day can significantly reduce your stress levels, but intensive workouts are even more effective. If you can’t find the motivation to exercise on your own, consider joining a sports club where you can meet new people and further reduce your stress. Sitting quietly for just 10 minutes a day can also work wonders to reduce your stress levels. Find a quiet place free of distractions and focus on your breathing for 10 minutes – or longer if you have the time. If you’re having trouble keeping your mind quiet, consider guided meditation or even movement meditation. Just taking a moment to breathe – whether it’s just five minutes or thirty – gives your body time to rejuvenate and your stress levels to fall. Breaks are important – both short and long. If you’re feeling overwhelmed, stop what you’re doing and take five minutes to switch off. Be sure to schedule in longer breaks, too. Take the weekend off, and make time for fun things you enjoy. If your schedule only allows for work and no play, you’ll burn out quickly. Taking time off allows you to return to your studies feeling refreshed and rejuvenated. Your day is jam-packed with assignments, exams and other life responsibilities. On top of everything else, you probably spend a good portion of your day texting, checking email and scrolling through social media sites – adding more stress to the pile. You never give yourself (or your mind) a chance to disconnect. When your mind is constantly going, it becomes nearly impossible to relax and unwind. Disconnect for a day or two. The world won’t end, and your loved ones will understand. Remember those breaks we talked about earlier? Use them to do something you enjoy. Take a walk, go out with a friend, paint, dance – do whatever makes you happy. Don’t write off hobbies or social activities as trivial. Life needs to be balanced if you hope to succeed, so make time for the things that bring you joy. Distractions and procrastination happen to everyone. A text message, email or phone call can derail a study session just as easily as checking the latest sports scores can when you’re trying to study. And distractions can be a child crying, having to prepare food or even walk the dog that won’t stop whining. If you know you’ll have to do something, plan it into your schedule and goals to make it more fluid. If you just have one hour of no interruptions, you’ll be shocked by how much you’ll be able to achieve. If you need to pass a course, the last thing you want to do is take on a workload that is unrealistic. This means keeping classes to a minimum and not taking on too many personal responsibilities, too. If someone asks you to babysit and you know you won’t be able to study as a result, politely decline. Workloads that are too daunting lead to procrastination, which ultimately reduce productivity, waste time and result in poor quality. It’s easy to let perfection get in the way of your ultimate goal. People that have a tendency to redo a project 20 times will find that they’re not making the best use of their time. You’re not painting the Sistine chapel, so put in the effort, but don’t let your perfectionist personality add stress and wasted hours to your life. Short-term deadlines allow you to take a micromanagement approach to your learning. With short-term deadlines, you’ll be able to quickly tackle any course and assignment with satisfaction of reaching your goals along the way. Another trick is to reward yourself, too. Life isn’t all about your assignments, so after a big midterm, treat yourself to a night out with friends at the pub. Sometimes, you need a few hours to unwind and enjoy life, too.